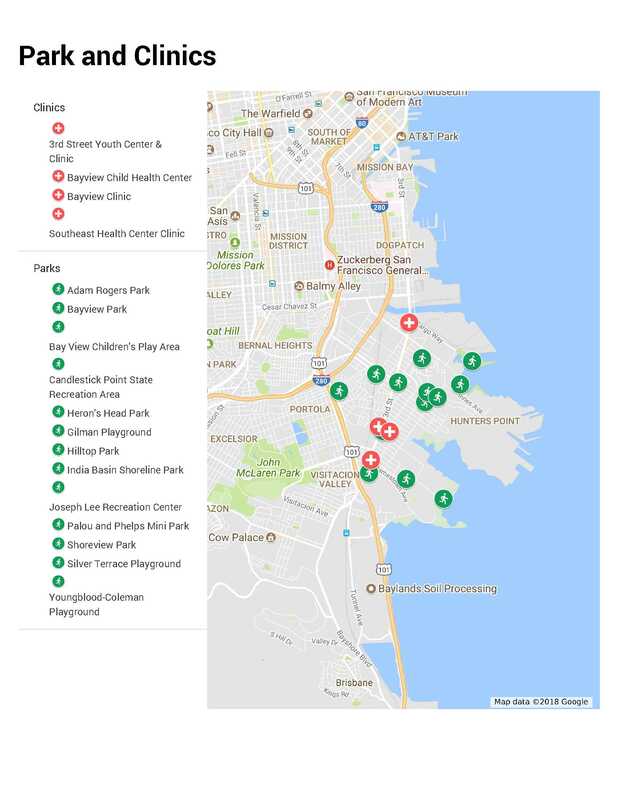 The Bayview Park Prescription Program is a new pilot collaboration between BMAGIC, Parks 94124, San Francisco Recreation & Parks, Candlestick Point State Park, Southeast Health Center, 3rd St. Youth Center & Clinic, Bayview Clinic and Bayview Child Health Center. BMAGIC is the administrator while the clinics provide the prescription referral and dedicated Health Educators. 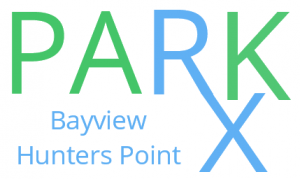 Patients are referred to the park activities and programming available in the Bayview and surrounding neighborhoods. Qualified park activities are available in a calendar or calendar list format below. To access the program, contact a program Health Educator at one of the participating Clinics. Please contact Bayview Clinic Health Educator, Michaela Moss at 415-339-8813 ext. 125 and mmoss@bayviewclinic.org if you are a patient at 3rd St. Youth Center & Clinic, Bayview Clinic or Bayview Child Health Center. Please Contact SF Recreation & Parks or Candlestick Point State Parks for detailed park program enrollment information. 500 Felton St. @ Holyoake St. The calendar can be viewed in a week, month or agenda list format, and can be synced to your own google calendar.